Have you ever wondered who rules the underwaters of endless oceans and great seas? 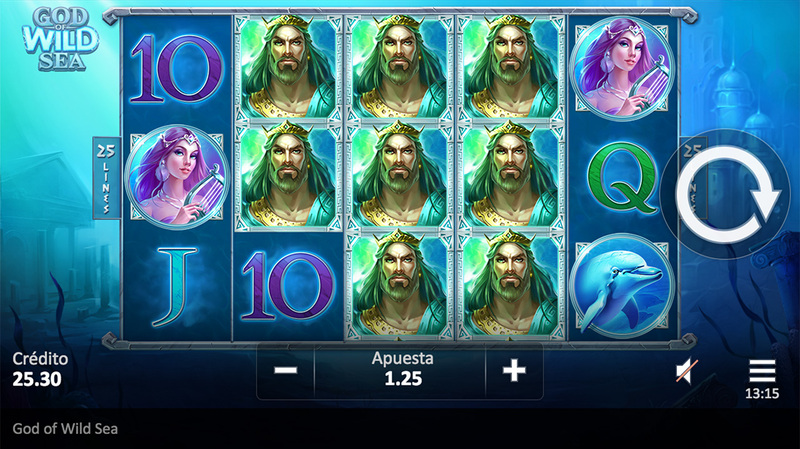 This 3x5 slot with 25 lines features ‘Wild’ feature, during which you can see how God himself spreads more Wild symbols on the reels to bring you big wins. Substitutes all symbols except Bonus. Appears on the reels 2-5 only. There are payouts for this symbol according to the Pay Table. 3 or more Bonus symbols during Main Game trigger Free Spins. There are payouts for this symbol according to the Pay Table. Bonus symbol wins are paid independently of bet lines. 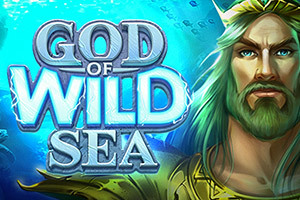 The random appearance of God during Main Game and Free Spins triggers 'Wild feature'. During the feature, God spreads Wild symbols on the reels randomly. The feature is played with the last bet set. 3 or more Bonus symbols during Main Game trigger Free Spins. 3 or more Bonus symbols during Free Spins trigger additional spins. The max number of Free Spin rounds is limited to 50 rounds. Free Spins are played with the last bet set.